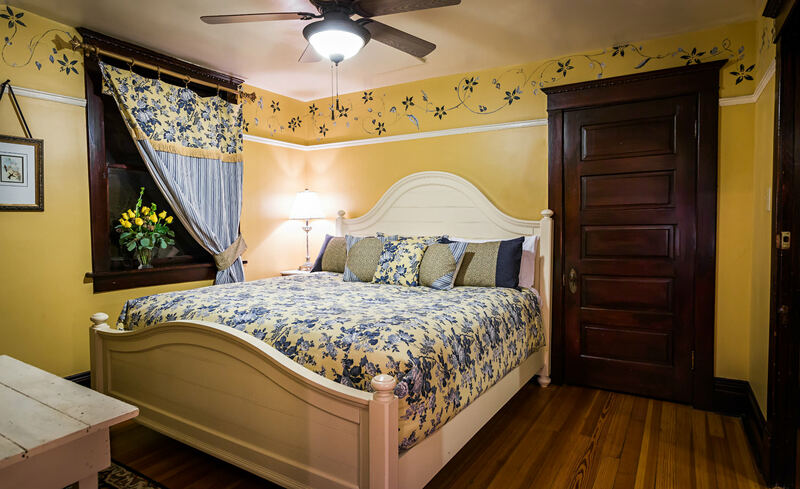 Decorated in a sunny yellow hue, with a hand-painted border of blue vines, the Greenglass Room will lift your spirits during your trip to Albuquerque, New Mexico. 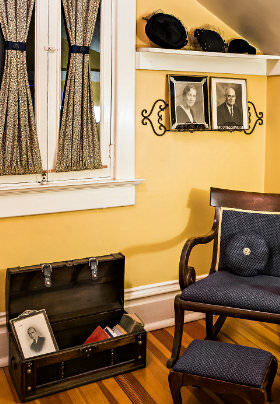 This suite features a king-size bed and a private sitting room, which has a sink that served as a kitchen when the home was used as a boarding house years ago. 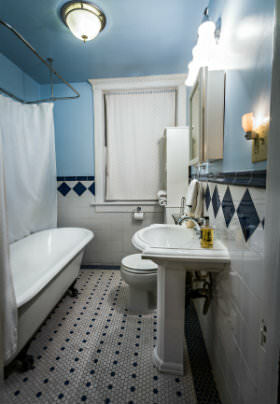 There is a private bath down the hall complete with claw-foot tub/shower. The tables in this guest room are said to be the original tables that David and Ruth Greenglass used while they lived here. Margaret Freeman said that one of the tables was used by David when he drew up the portion of the atomic bomb that he sold to the Soviet spy, Harry Gold.